The best part of being a Google Local Guide is Google Perks. Right from the beginning of the launch, Google had offered various perks such as OLA Select vouchers, Swiggy coupons, Local food festival, Meet-ups and more. 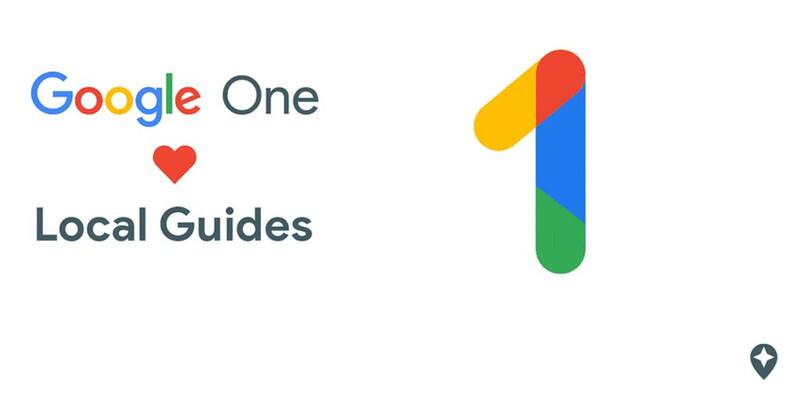 Now, the company is offering Free 6-months of Google One Membership with 100GB Storage for top Local Guides. You can use this storage across Drive, Gmail, & Photos and also, you can share the membership with up to five family members. Google hasn’t mentioned any eligibility criteria or level of Local Guide to receive this offer. if you are eligible, you will receive an official email from Google with instructions to redeem it. You can redeem this offer using any valid payment methods such as Credit card, Google Play Balance etc. 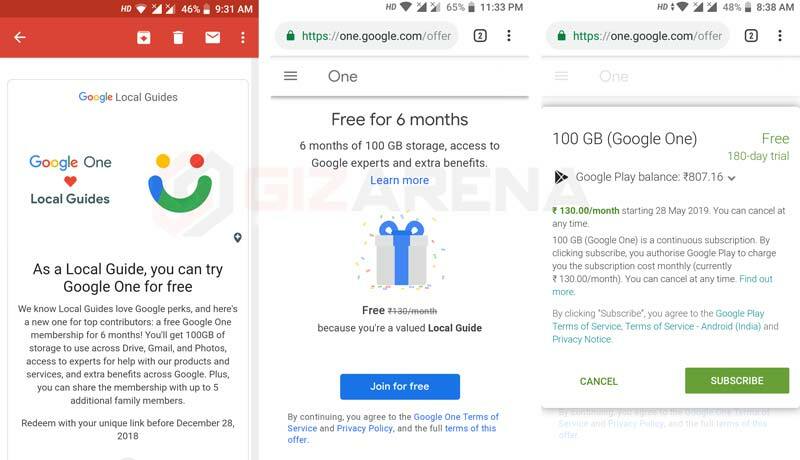 Google will not charge anything until your free trial ends, and you can cancel the subscription at any time. You will be charged ₹130 / month after 180 days, so remember to cancel the subscription if you don’t want to the paid subscription. Please make a note that, this offer is for new users only. Users with existing Google Drive paid storage plans are not eligible for this offer. Also, if you use your credit card to redeem the offer, you’ll be charged a small amount as card authorization fees and the same will be refunded back to the bank account in a few days. Tap on Redeem. 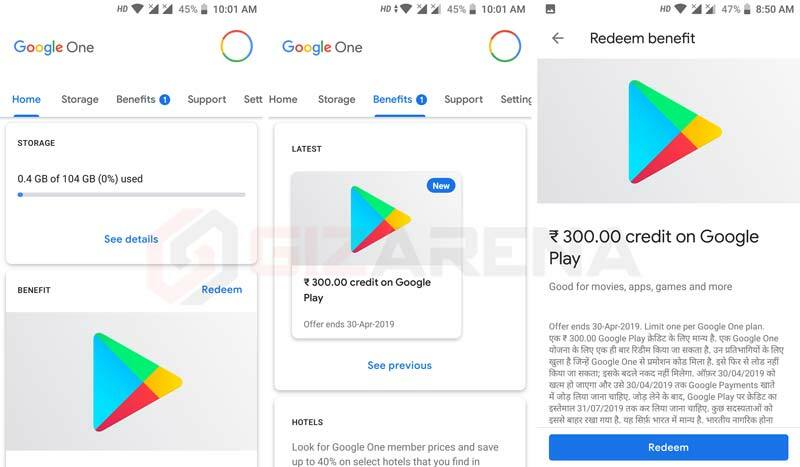 ₹300 will be added to your Google Play account and it can be used to purchase Apps, Games, Movies etc on the Play Store. You have to redeem the Google Play credits offer before 30th April 2019 and use the credits before 31st July 2019. Drop your queries in the comments if any. Follow us on Facebook and Twitter for latest updates. So what will happen if one doesn’t renew after the free subscription? Option 1 – You are forced to renew or your gmail id will not function for new additions, although old stuffs are still accessible. Option 2 – One will cease to enjoy the basic 15 GB storage generally offered with each gmail ID.